Providing you the best range of Rump steak frozen meat, Halal Frozen Buffalo Meat, Silverside Halal Buffalo Meat, Topside Buffalo Meat, Brown Shell Egg and White Shell Eggs with effective & timely delivery. 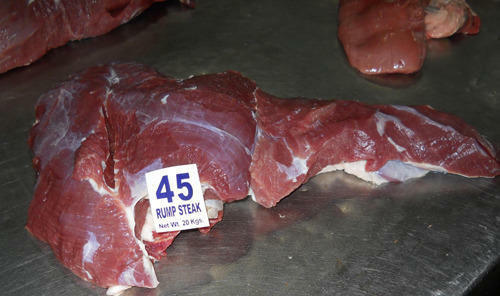 Rump Steak offered by us is used for making kebabs. We select the finest raw materials for meat processing. We give the top most preference to hygiene, cleanliness, quality, by measuring upto the international standards of hygiene in frozen foods and never compromise with the freshness and quality of the products. We have reached the distinctive position in the frozen food market around the globe. Silverside supplied by us is cut from the muscle outside the thigh and buttock. Silverside can be roasted and has low cholesterol. We offer the topside buffalo meat from the muscle of the inside leg with highest quality of animal fat . It is most suitable to slow fry and can be roasted as boneless joint. 30 eggs lay in a tray. 12 such trays in a ply carton. 360 eggs in a carton. 1312 carton in 40 ft reefer container. 4,72,320 eggs per 40 ft reefer container.